A healthy Rat is a fast Rat! After getting up close and personal with a tree in Ft. William, and dislocating his finger in Lenzerheide, Josh was on the hunt for his first World Cup win since Windham, last year. Despite dry weather earlier in the week, the rain got turned on just before qualifiers, and hung around for race time, making the rough and rocky track all the more challenging. 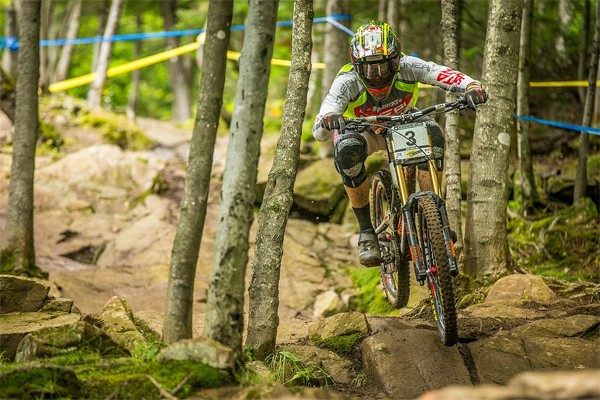 The racing was incredibly tight, with Josh beating Loic Bruni by just two-tenths of a second, and Troy Brosnan by a quarter-second... super close, and even closer for a track as long as Mont Sainte Anne. Greg Minnaar finished just behind Brosnan for fourth place, which nets him some valuable World Cup points. 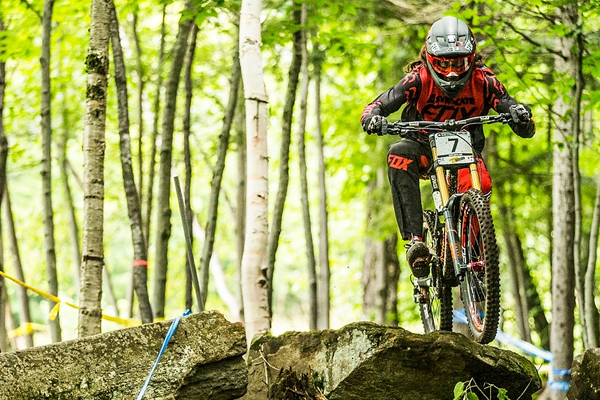 Greg's sitting in third overall, just 70 points behind Aaron Gwin, heading in to next week's race in Windham, followed by Val Di Sole to close out the season.